Historians will look back at these past 10 days, and with the perspective of time, be able to tell whether the events in Charlottesville represent an inflection point where Americans realize that racial justice and diversity are ideals worth fighting for, or whether this was the beginning of an even darker time. As a student of economic and political history, I think it is important to look back at previous periods in our history of race and society and look at the factors that led to paroxysms of hate and violence. This is not just an academic exercise. There are lessons to be learned that provide us the tools to combat racial and religious hatred. History’s lessons remind us of the importance of the work that we do as promoters of diversity in general, and supplier diversity, in particular. It is axiomatic, that those who support White supremacy cannot support diversity in any form. There were three periods after the end of slavery when White supremacy erupted and impacted the quality of life of all Americans, particularly Black Americans. Each of these periods were characterized by many events and activities taking place in society, but there were some events that played a more important role in the rise in White supremacy. Without trying to write a 800 page history book in a newsletter column, let me briefly highlight these periods. After the Civil War, Union troops occupied the defeated Confederacy. It was during the period between 1865 and 1876 that newly freed Blacks were given the right to vote, to own property and participate fully in American society. Close to 2,000 Blacks from the states of the former Confederacy won public office, including a seat in the U.S. Senate, several seats in the House of Representatives and hundreds of locally elected offices. This rise in power and influence did not sit well with many defeated Southerners who did not even recognize Blacks as humans, let alone citizens on an equal footing. The presidential election of 1876 provided the opportunity for White supremacists to change the political and social conditions on the ground. The election pitted the Republican Rutherford B. Hayes against the Democrat Samuel Tilden. Tilden won the popular vote and the Electoral College voted, but did not reach the required number of vote in the Electoral College. There were 184 Electoral College votes for Tilden and 165 Electoral College votes for Hayes, and importantly 20 votes that were undecided. Under these conditions, these 20 Electoral College voters had to be allocated. In a deal knows as the Hayes Compromise, the 20 undecided votes went to Hayes and in exchange, the Republicans – the party of Lincoln – agreed to remove federal troops from the former Confederate states. This coincided with White reaction in the form of the KKK and domestic terrorism targeting Blacks and any Whites who supported Black rights. With the removal of Federal troops, the rise of KKK terror, Blacks returned to a state that was not slave but far from free. It was after the removal of federal troops that White Southerners took back control of the levers of power and instituted Jim Crow laws that would survive into the early 1960s. These laws prohibited everything from interracial marriage to property ownership and segregated public and private facilities. It was also during this period that lynchings of Blacks peaked. Between 1882 and 1968 over 3,400 Blacks suffered from these terroristic tactics. Lynchings of Blacks rose steadily and peaked at 162 in 1892. These were not only extra-legal murders of “violators” of Jim Crow laws, they were meant to intimidate Blacks who attempted to accumulate property and status. It is an interesting historical fact that this period was started with a presidential election. The second period of an upsurge in White supremacy was the period of the First World War. This was the war to save democracy. The United States entered the war late but with a substantial commitment of fresh troops, including Black troops. On the home front, organizations like the newly formed NAACP fought for the integration of American troops and the fair treatment of those troops. The belief was if Blacks fully participated in the defense of democracy, at the conclusion of the war, conditions would improve. This and passing a federal anti-lynching law was the primary focus of the NAACP. Between 1890 and 1952 over 200 federal laws were proposed, but not one had enough votes in the U.S. Senate to become law. It is interesting to see the White supremacists of today protesting the legal process of taking down the symbols of racial oppression when compared to the White supremacists of the not too distant past who protested laws that would have banned murder by the mob. The soldiers returned home with a confidence that only the trials of war can provide those that survive both physically and psychologically. These were Black soldiers who had fought side by side with French soldiers. (General Pershing refused to integrate American troops with the French, but offered the French, Black Americans who could fight with them. This was the start of a special relationship between the French and African Americans that last to this day.) These Black veterans returned to the same segregated conditions they left before their service in the fight to save democracy. These men were not willing to simply accept the status quo. This new confidence expressed itself in the establishment of Black economic enclaves around the country that while separate from the mainstream U.S. economy, began to thrive. Communities in Richmond, Virginia, New York City’s Harlem, Durham, North Carolina, and Tulsa, Oklahoma saw a rise in both cultural expression and economic power. The case of Tulsa, or what became known as Black Wall Street, developed peaked from 1918-1921. Just in the 36 blocks of the Greenwood section of Tulsa, there were over 600 Black businesses including movie theaters, hotels, newspapers, restaurants, grocery stores and other establishments. The success of Blacks in a Jim Crow society ran counter to what struggling lower income Whites thought about the way the world was supposed to work. So racial riots broke out across the country in Houston, Chicago, Detroit, East St. Louis and Tulsa. These were not your 1960s style riots where Blacks burned down the businesses in their community. These were riots of White mobs who came into the Black community and committed what can only be described as pre-cursor to the Nazi pogroms of the 1930s. Again, like the earlier period of White terrorism, the impact of these expressions of White supremacy was to intimidate Black entrepreneurship and wealth accumulation. Black Wall Street in Tulsa never fully recovered from its destruction by White gangs in 1921. And in 1925, 30,000 KKK members in full regalia marched down Pennsylvania Avenue from Congress to the White House. While the Republicans controlled the White House and both Houses of Congress in 1925, Southern Democrats were strongly influenced, if not controlled by the KKK. He said, "i've left you in your cradle"
Boy, i'm gonna ride you to your grave"
After the 1964 Civil Rights Act and the 1965 Voting Rights Act, White supremacists once again reacted with violence and at the ballot box. Nixon was elected in 1968 running on a blatant campaign to move Southern racists who made up the bulk of the democratic party, into the Republican party. This “southern strategy” continued through Reagan, the Bushes and Trump. The White supremacists fought against affirmative action, fought against minority set-asides, fought against inclusion and equality, fought against electoral and other civil rights, and fought against Black success. Despite the success of White supremacists, America elected a Black president in 2008. For a brief period between 2008 and 2016, it appeared that America had come to its senses on race and diversity. But we should have known that like Post Reconstruction and Post World War One, there would be White Supremacists reaction. And that reaction is Donald Trump. It was great to see that Corporate America, led by the CEO of Merck, Kenneth Frazier, an appointee to President Trump’s advisory committee of CEO, said enough is enough, and resigned from this prestigious assignment after President Trump’s equivocation on who was to blame for Charlottesville. 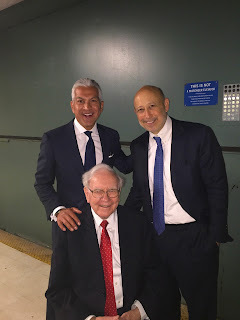 I am proud of those corporate leaders who sent an unequivocal message to the President and the country that diversity and common human decency are ideals that we as a nation will not sacrifice at the alter of racism. Now we must build on this moment. We need more inclusion. We need more Kenneth Fraziers. We need to resist White supremacy as if all of our lives depend on it, particularly when it comes from the President of the United States. We must develop ourselves, our businesses and our communities. We must do everything we can to expand and deepen the community of people who seek justice and love. If we accomplish these things, White supremacy does not stand a chance of grabbing hold and destroying us. 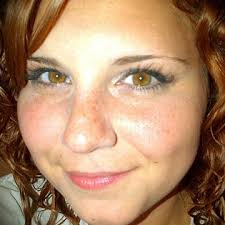 Thank you, Heather Heyer. One out of every five Americans is living with a disability. Those Americans are currently nearly twice as likely to be self-employed. With initiatives like the USBLN’s Disability Supplier Diversity Program (DSDP), they also have the ability to achieve greater economic success and independence. It links disability-owned businesses to contracting opportunities with corporate America, government and other buying organizations. It provides exclusive access to educational resources to expand an owner’s understanding of best practices when competing for contracts and procurement processes. It creates networking opportunities - through conferences, teleconferences, and trade fairs - that match leading corporate and government leaders with Disability Supplier Diversity Program participants to help foster business relationships. It provides access to key supplier diversity contacts of Fortune 500 and 1000 corporate partners. It advances a mentoring and business development program, in which corporate partners serve as mentors to certified disability-owned business enterprise mentees. The DSDP offers three different certifications: Disability-Owned Business Enterprise (DOBE) Certification, Veteran-DOBE (V-DOBE) Certification, and Service-Disabled Veteran-DOBE (SDV-DOBE) Certification. A Disability-Owned Business Enterprise Certification (DOBE) is available to any business at least 51% owned, managed and controlled by a person with a disability. The Veteran-DOBE Certification (V-DOBE) is available to a business enterprise owned by a veteran with a disability, not related to their time in service. The Service-Disabled Veteran-DOBE Certification (SDV-DOBE) is available to a business enterprise owned by a veteran with a disability, whose disability was caused by their time in service. A disability is a physical and/or mental impairment that substantially limits a major life activity, or major bodily function. While the Americans with Disabilities Act does not set forth a specific list of conditions covered by the act, there are over 70 disabilities listed as part of their regulatory guidance, such as missing limbs; mobility impairments requiring the use of a wheel chair; cerebral palsy; major depressive disorder; post-traumatic stress disorder; ADHD; obsessive-compulsive disorder; autism; schizophrenia; and many others. The USBLN DSDP is a highly credible and recognized certification program. In the last two years, four states have developed public policy promoting inclusion and equality for persons with disabilities, and, in particular, recognizing the USBLN certification program. New Jersey is the latest state to introduce legislation providing assistance to businesses owned by people with disabilities, and recognizing the USBLN certification program as the benchmark for certification. New Jersey follows Massachusetts, Pennsylvania, and New York. In each case, the USBLN was named the exclusive or primary certifier for qualifying businesses. USBLN continues to advocate for inclusion and equality for people with disabilities. The USBLN Disability Supplier Diversity Program (DSDP) serves to connect corporate partners to certified business and provide training, networking opportunities and access to key events. One such event is the USBLN Annual Conference. We’re poised to continue to grow and strengthen the supply-chain track at this year’s conference. Members of the USBLN Procurement Council, and other experts in supply chain diversification will be in attendance to speak on relevant topics, such as risk management; the value of Disability Supplier Diversity Program (DSDP) certification, and the business impact. Visit usbln.org for more information about the program, to register for the USBLN Conference, and view the full Conference agenda. 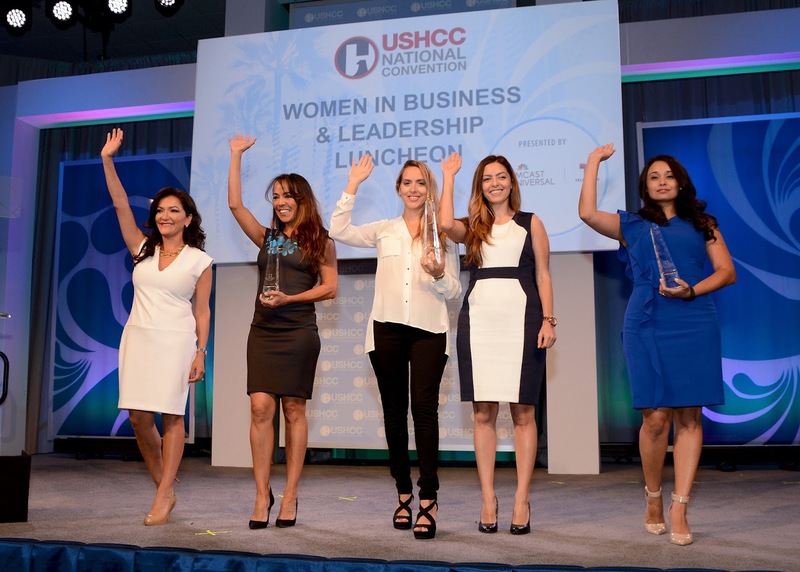 The United States Hispanic Chamber of Commerce (USHCC) is the largest Hispanic business organization in America. It actively promotes the economic growth, development and interests of more than 4.2 million Hispanic-owned businesses, which together, contribute over $668 billion to the U.S. economy each year. The USHCC also advocates on behalf of 260 major American corporations and serves as the umbrella organization for more than 200 local chambers and business associations nationwide. For nearly 4 decades, the mission of the USHCC has been to foster Hispanic economic development and to create sustainable prosperity for the benefit of all Americans. 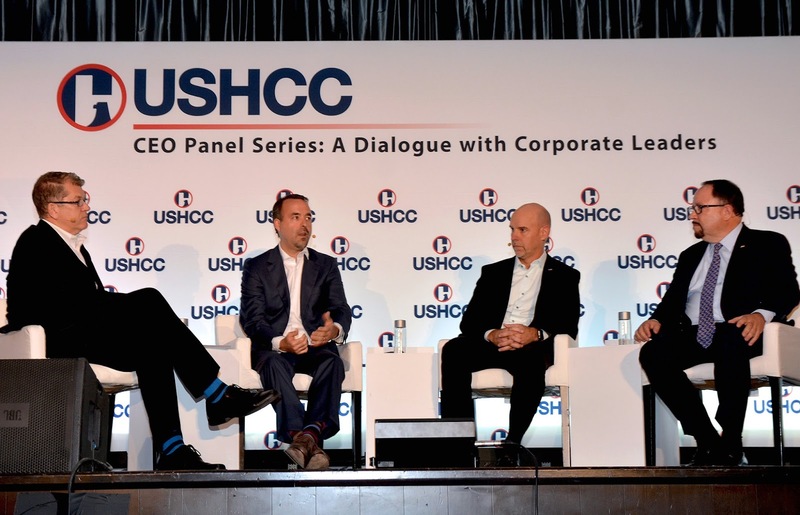 To carry out this mission, the USHCC advocates for five major public policy issues: access to capital, international trade and commerce, education and workforce development, immigration, and energy. Each fall, the USHCC hosts the country’s largest gathering of Hispanic business leaders: The USHCC National Convention. The Convention is held every year in a city that embodies the American entrepreneurial spirit and supports a thriving small business community. This year, the Convention will be held in a truly global business hub. Dallas, Texas is home to a record number of Fortune 500 companies, including many of the USHCC’s corporate partners such as Toyota, American Airlines, AT&T, Comerica Bank and many more. It is also home to one of largest concentrations of Hispanic Business Enterprises (HBE) in America. The USHCC will be “Driving America’s Business Future,” at the 2017 National Convention taking place from October 1 – 3 at the Omni Dallas Hotel. The gathering is an opportunity for business owners, corporate executives, entrepreneurs and community leaders to engage in targeted business matchmaking opportunities, as well as professional development and networking forums such as workshops, training sessions and roundtable discussions. 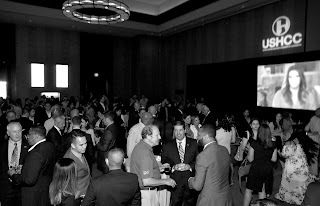 Other notable Convention events include the Million Dollar Breakfast Club, which celebrates supplier diversity, the Chamber Awards Breakfast, HBE Elite Luncheon, Women in Business and Leadership Luncheon, and the Closing Gala. Small business owners will benefit from attending the convention by making valuable connections with corporate representatives, other business owners and potential customers and investors. Corporate representatives will be able to reach out to rising entrepreneurs and established small business experts, as well as cultivate lasting strategic partnerships with HBEs, chamber executives and thought leaders in policy, government. Join the USHCC at the 2017 National Convention in Dallas, Texas, as we bring together corporate executives, public officials, chamber leaders and entrepreneurs who are all eager to foster meaningful, long-lasting partnerships with America’s most dynamic small business community. Take advantage of the endless opportunities awaiting you at the USHCC 2017 National Convention. Visit http://ushccconvention.com/ for more information and follow #USHCCDallas on social media. 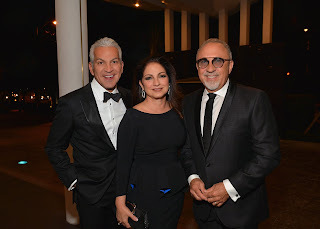 3) Javier Palomarez, USHCC President & CEO; Gloria Estefan, singer, songwriter, actress, and businesswoman; and Emilio Estefan musician and producer who has won 19 Grammy Awards. 4) Nina Vaca, USHCC Chairman Emeritus, USHCC Foundation Chairman, Chairman & CEO of Pinnacle Group, with 2016 At The Table: The Enterprise Accelerator winners. 5) 2016 CEO Panel: Steve Clemons, Political and Foreign Policy Commentator, Washington Editor at Large, The Atlantic and National Journal, Contributor, MSNBC; Jos R. Mas, CEO of MasTec, Inc.; Robert E. Sanchez, Chairman & CEO of Ryder System, Inc.; and Robert I. Unanue, President of Goya Foods, Inc.
6) 2017 USHCC National Convention Kick-Off reception in Dallas, Texas. Personal Brands on Social Media - Where’s Yours? You have launched a personal brand, but you are not building valuable and engaged communities, and are not seeing the impact and financial reward you hoped to receive. Two points. I know where you are. And, you are not alone. As an experienced marketer, here’s how I define personal branding: A personal brand is the attachment of stories, theories, ideologies and philosophies to a person or living creature. Already branded yourself but don’t see any growth? Do you have a clearly articulated mission for your personal brand? Do you have time to share or have a budget to hire someone? This can start out on a contract basis. Have you identified your community of followers, understand their need to interact with your brand, and do you know their online and buying behaviors? Do you have branded materials and messaging already created and ready to be shared? If you were to sell something, do you have access to the resources to deliver it? If you have not created your mission statement, my book, Seen and Sustained, will help you. You may download it from Amazon.com. The book will also share what other brands have done, and it helps you create a tactical schedule as well so that you maintain a consistent level of activity. You get to set your own pace or your brand’s, however, the goal is to start. And, remember that your resume is also a marketing document, so if you don’t choose the personal brand approach through online channels and social media, consider having an electronic business card created for yourself. You’ll still need to determine your brand mission, and you can use the above information to begin the process. Visit MBE magazine’s Winter Issue 2017 for the rest of the story. After a two-year election campaign and weeks into his presidency, Africans still have no idea how Donald J. Trump plans to deal with this continent of 54 nations. Since the launch of his political career, Trump has barely mentioned Africa, home to six of the 12 fastest-growing economies in the world, let alone share insight into his foreign policy thinking. All Africans, and anyone interested in U.S.-Africa relations, have got to go on are a few disparaging tweets, posted in the years before his run for office. In one 2015 tweet, he called South Africa, the continent’s economic powerhouse, a “total and very dangerous mess”. Officially, the response to Trump’s presidency by African leaders has been muted. But when two African countries were recently included in the executive order banning travel to the U.S. from six predominately Muslim countries, the outgoing head of the African Union Commission, Nkosazana Dlamini-Zuma, lashed out, saying “The very country to whom our people were taken as slaves during the transatlantic slave trade, has now decided to ban refugees from some of our countries." On social media and privately, many Africans regard Trump’s tone and his silence on Africa as part of a general negative attitude towards their continent. “When you watch the news in African countries, people are alarmed by what they see coming from the White House,” said Kwaku Nuamah, a lecturer at American University’s School of International Service in Washington. But given America’s track record on African trade and investment, some in African business circles say they are neither surprised nor alarmed by the absence of any foreign policy direction on Africa. “Many people were expecting closer relations [with the U.S.] while Obama was in there but that didn’t happen,” said Kebour Ghenna, director of the Ethiopia-based Pan-African Chamber of Commerce and Industry, a body representing African business. “And they don’t expect that to change with Trump,” Ghenna said. Nuamah agrees. “Expectations are very low. Whatever [Trump] does will exceed expectations,” he said. The three previous U.S. administrations all had high-profile programs aimed at boosting aid, trade and investment in Africa. In 2000, President Bill Clinton enacted the African Growth and Opportunities Act (AGOA), which enabled qualified African nations to grow exports by allowing duty-free access to American markets. President George Bush introduced the President’s Emergency Plan For Aids Relief (PEPFAR), providing billions of dollars in aid to fight the continent’s HIV/Aids pandemic. President Obama maintained both those initiatives and launched a few of his own, in historic fashion. In his second term, he announced a $45 billion energy project seeking to electrify 60 million African homes and businesses as well as other efforts to promote Americans doing business in Africa. Obama went on to become the first American president to host a U.S-Africa Summit with African heads of state at the White House in 2014, intended to strengthen relations. Yet his efforts paled in comparison to those of another foreign power deeply engaged with Africa: China. It was a disappointment for some in a president with personal ties to the motherland. China surpassed the U.S. as Africa’s biggest trading partner in 2009. Sino-African trade has grown in leaps and bounds since, rising to $210 billion in 2013 – more than double that of the U.S-Africa trade in goods that year. 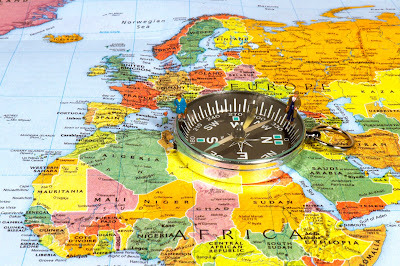 America’s trade with African nations, on the other hand, dropped from $125 billion in 2011 to $99 billion the following year to $85 billion in 2013, according to Washington-based think tank, the Brookings Institution. Last year, Obama announced that U.S direct investment in Africa had risen 70 percent during his presidency. But it still lagged behind China. At an annual China-Africa Summit in South Africa in 2015, China pledged to invest another $60 billion in loans and investments into African development. The main sectors benefiting were transportation, such as rail and road infrastructure development, energy and mining. Meanwhile, Trump has all but declared a trade war with China. Should he fulfill campaign promises, they could include officially labeling China a currency manipulator and bringing trade cases against China in the U.S. and with the World Trade Organization (WTO). Whether Trump will decide to take his fight to the Chinese on African soil is anyone’s guess, although some analysts suggest that his “America First” outlook suggests a dialing back of American engagement on the global stage.